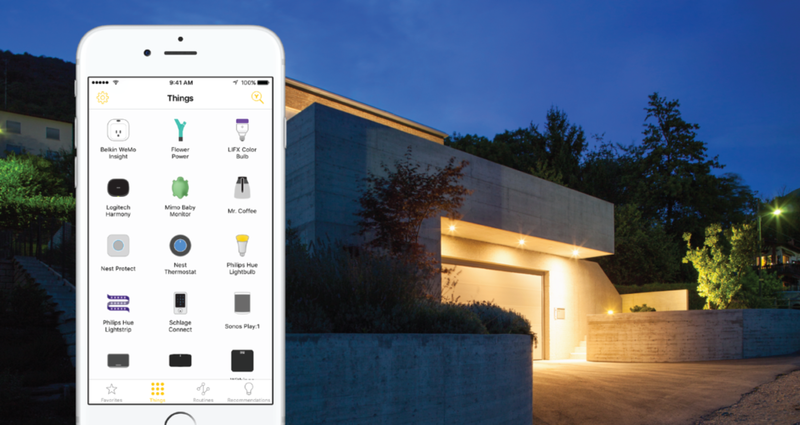 Now you can get all of your favorite smart home things to play together like Sonos speakers, Philips Hue lights, Amazon Echo, Nest® products and over 60 supported devices. Your things can start taking care of you using automated Routines that you run anytime in the Yonomi app or just by asking Alexa. Let’s get you started in setting up your Yonomi home. Is your house filled with connected devices? Awesome. Yonomi will find them for you making setup easy. When your phone is connected to your home wifi network, go to the “Things” tab. Tap on the Discovery ‘magnifying glass’ icon and your devices will start appearing. 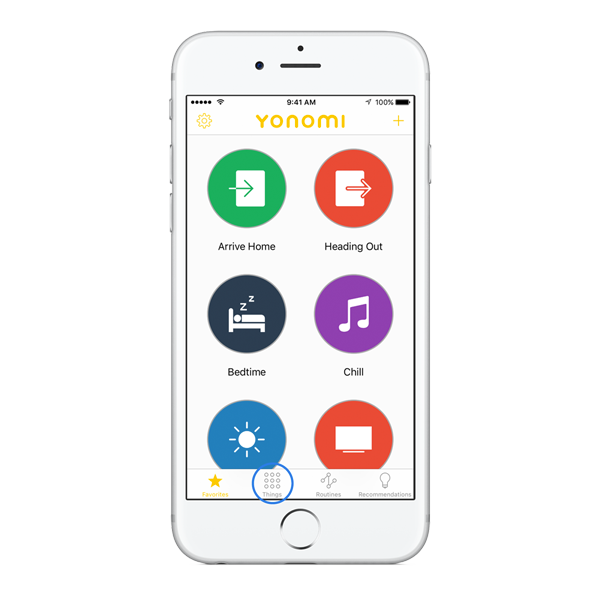 Connect your device accounts such as Nest, Philips Hue, LIFX and August, so you can control them with Yonomi when you’re away from home. Still Not Finding All of Your Devices? If you first ran Discovery when you were away then do so again when you’re connected to your home wifi network, so your local devices (such as Sonos and WeMo) will be found. Next, make sure all of the devices you are looking for are supported by Yonomi. Check out our supported devices. Need help? You can always visit our Support page to browse our FAQs or contact the Yonomi Support Team. “Routines” control several devices at once based on your daily activities like Arriving Home, Movie Night or Bedtime. You can run your Routines anytime or automatically based on time, day, location or other device events. Create personalized Routines from scratch using the steps below or go to the “Recommendations” tab and start with one of the recommended Routines based on the devices you have. Go to the “Routines” tab and tap “+”. Add an Action with the option of an Event and Condition. For example, when the “Coffee is ready” on the WeMo Coffee Maker, have the Living Room LIFX “Breathe orange,” the Living Room Sonos announce, “The coffee is ready” and send a text “Your coffee is ready.” You will never miss a hot cup of brew again. Tap on “Save” and name your Routine something that is intuitive to you and easy to remember. You can tap on “Run Routine” to test out your routine and watch the magic happen. Connect your Amazon Echo and you can ask Alexa to run your Routines and control your Yonomi connected devices. Add Favorites to quickly access your Routines. Use Today Screen widgets to trigger your Favorites in one swipe. Check out our Support page for FAQs and contacting the Yonomi Support Team.